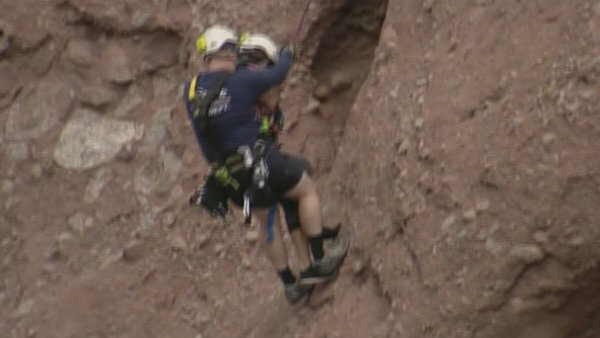 PHOENIX —Phoenix and Tempe firefighters rescued a hiker from Papago Park Sunday after she went off trail and became stuck in a cave. Phoenix Fire Capt. Aaron Ernsberger said the rescue took about two hours and involved approximately 16 firefighters. 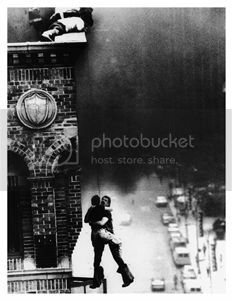 One of the firefighters rappelled down to the cave, placed the woman in a harness, and then rappelled her down to an area where they could walk the rest of the way. Firefighters drill out areas in the rocks and place anchors to help with technical rescues. Elizabeth Gutierrez, who moved to the area three weeks ago, was able to call for help on her cellphone. She said she was relieved when she saw firefighters arrive. Ernsberger said it was the third mountain rescue of the day for Phoenix firefighters. He estimated the department responds to more than 150 mountain rescues a year.